It’s that time of year again when we dress up like scary monsters and extort candy from our neighbors. 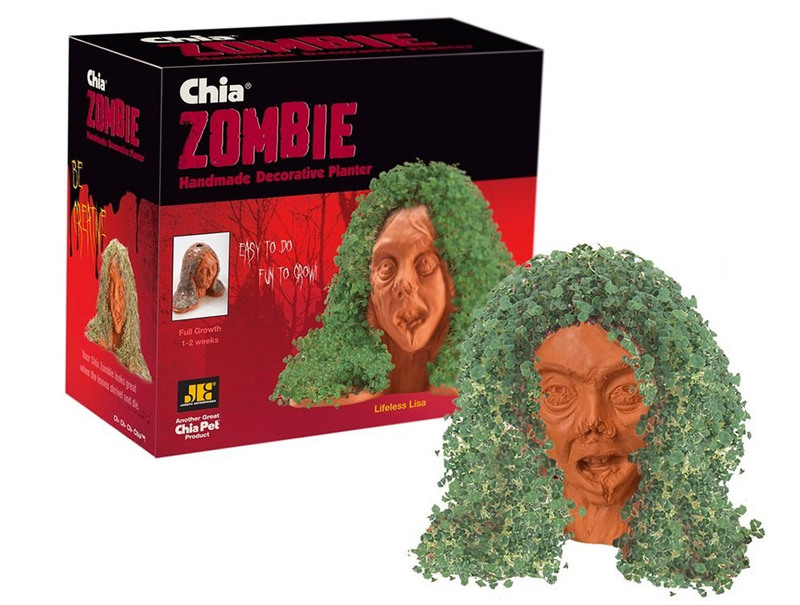 Many people like to decorate for Halloween and for those people we have something new. 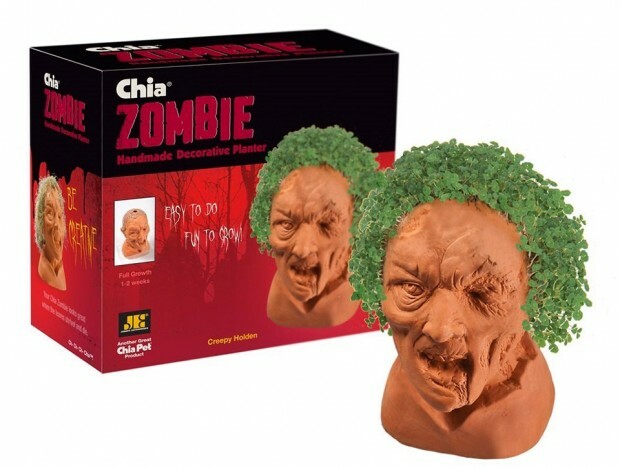 Zombie chia pets will fit in perfectly with all of your other spooky decor. 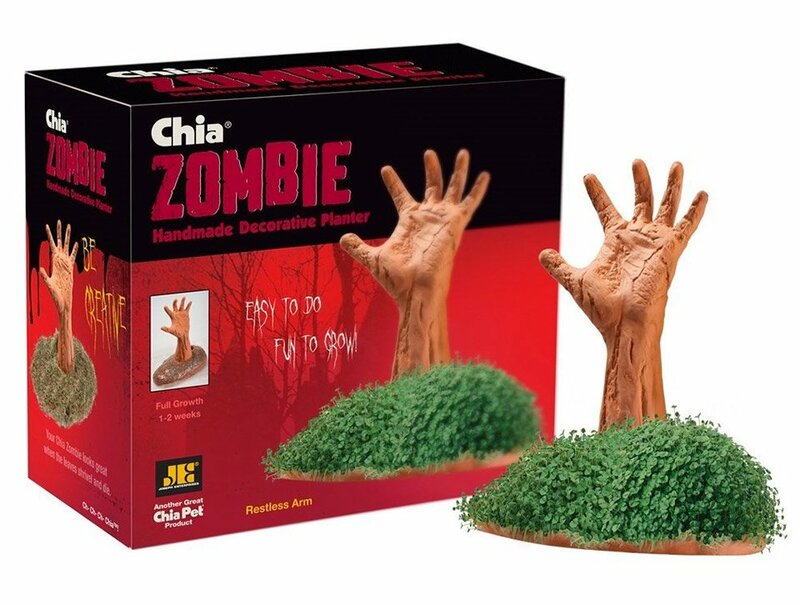 There are three versions: An arm reaching up out of a grave, Lifeless Lisa, or Creepy Holden. I would just buy all three and have a nice green zombie garden. These are pretty cool, but what about a Poison Ivy Chia pet. Seems like a no brainer and the folks that make the kind of money Batman would approve.